An Indian elephant called Boy, the pride of the Kiev Zoo, collapsed and died in his enclosure. Around the same time, Maya the camel succumbed to a digestive illness and Theo the zebra died after crashing into a metal fence. The animals just keep on dying at the Kiev Zoo, a place one activist has likened to a concentration camp for those with fur and feathers. Animal welfare groups say dozens if not hundreds of animals have died at the zoo in recent years due to malnutrition, a lack of medical care and mistreatment — and some suspect that corruption is at the heart of the problem. 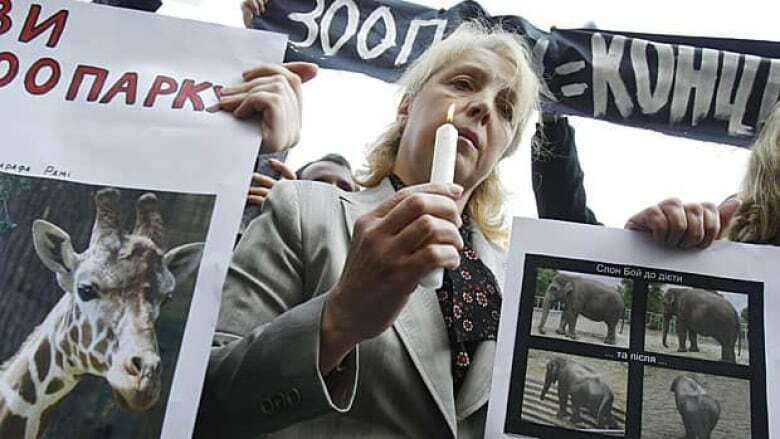 Naturewatch, a British-based animal welfare group, is among the organizations calling for the 100-year-old zoo to be closed and its animals sent elsewhere in Europe. Ukrainian prosecutors have also opened an investigation. But despite the management change, the zoo's animals are still dying. Some activists suspect a secret real estate deal is in the works — that the zoo is being deliberately decimated so it can be closed down and the prime land that it sits on in the centre of Kiev can be sold. Once the jewel of the Ukrainian capital and a favorite weekend spot for families, the zoo began to deteriorate after the 1991 collapse of the Soviet Union and the years of poverty that followed. Animals were kept in cramped, poorly lit and poorly heated enclosures, fed improperly and left unattended, according to watchdogs. The Kiev Zoo gained international notoriety in 2007 when it was expelled from the European Association of Zoos and Aquaria after the death of a female bear. Officials have had a hard time determining exactly how many animals died or disappeared under the previous management. The zoo now has 2,600 animals from 328 species.